Is used as a thickener in salad dressings and sauces, as an agent in ice cream that prevents ice crystals from forming, and as a fat substitute. In pastry fillings, it prevents “weeping” (syneresis) of the water in the filling, keeping the pastry crust crisp. It has a very high viscosity (thickness) even when very little is used. Locust Bean Gum is extracted from the endosperm of the seeds of the carob tree Ceretonia siliqua, which grows in Mediterranean countries. Ice Cream Ice crystal and Viscosity control. Fat mimetic. 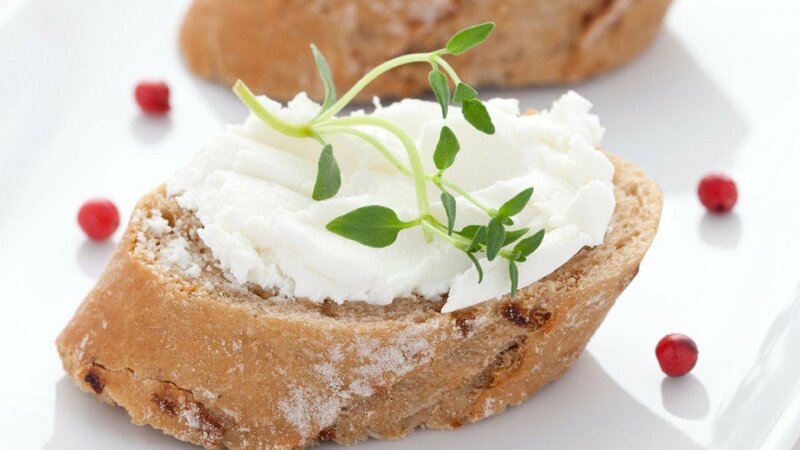 Cream cheese Speeds up coagulation, Improved moisture binding and texture. Baked goods Improved yield and extension of shelf life. Pastry fillings Viscosity and syneresis control. Soups, sauces and marinades Viscosity control. Meringues Stabilisation and syneresis prevention. Locust bean Gum (LBG) (E410) is a polysaccharide (a long chain made of sugars) comprised of galactose and mannose units. Some other familiar polysaccharides are starch and cellulose, which are made of long chains of the sugar glucose. Dispersions of Locust Bean Gum are relatively stable to acid and electrolytes, however they are unstable to retorting and freezing. The addition of 10-20% sugar gives much better stability during retorting. Similarly, the addition of 10-20% sugar alters the appearance of the frozen and thawed material from a spongy gel to a long, semi-gelled material with no syneresis. Although under normal circumstances, Locust Bean Gum does not gel by itself, it imparts elacticity to agar and Kappa carrageenan gels and will form a gel when mixed with Xanthan gum.